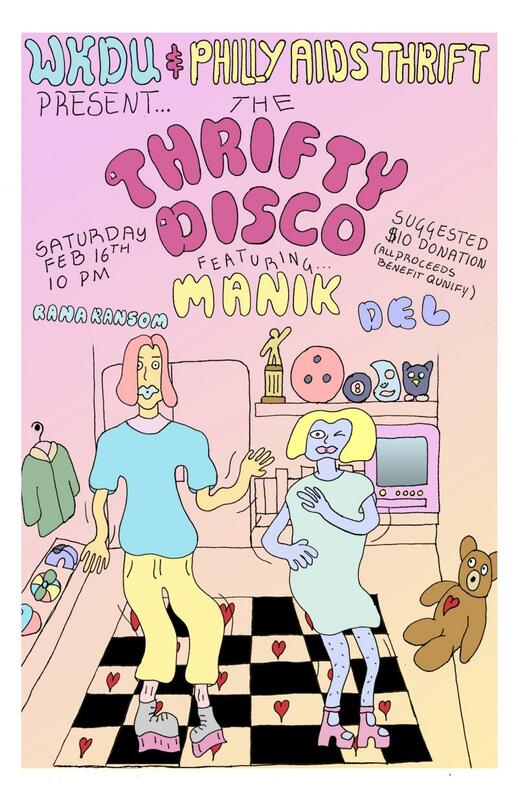 The THRIFTY DISCO is at it again! We’re turning Philly AIDS Thrift into a club with some of the funkiest DJs around rockin 'it... ALL NIGHT LONG while raising money for Qunify!! Rana Ransom (YallaPunk / Spacer Women) !!! Dancing will promptly begin at 10 pm, followed by more dancing until we’re done. WKDU Philadelphia 91.7FM & Philly AIDS Thrift.